← FUNNY VIDEO: FOR MARRIED PEOPLE ONLY! Among its promoters are Stuart Rose, Deepak Chopra, and Oprah Winfrey who was raised a Baptist, but no longer believes Jesus is the only way to God. This is the great weakness of the movement—their denial of the Lordship of Jesus Christ. We ourselves have had many blasphemous comments posted on our website recently cursing God and His people. Why? Because of the evil spirits that have turned so many hearts against the Lord and His Christ, promoting in their place a new age religions and practices. 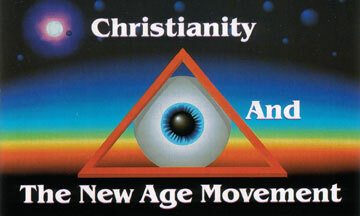 All of this makes it clear that the New Age Movement is nothing new. It is ancient Babylonian occultism in modern dress—the false religion which has controlled the world since the beginning, and is now fighting for a foothold in the Church and hearts of Christians, while at the same time paving the way for Antichrist. So, do not be taken in! No matter how convincing the lies, remember: There will never be a brotherhood of man without the Fatherhood of God, and we will never enjoy the Fatherhood of God apart from the love of His Son, Jesus Christ. In keeping with his assignment to “prophesy again about many people, nations, tongues, and kings,” John flashes back to another dynamic behind the Beast’s kingdom. One of the angels with charge over the bowl judgments urges him to see “the great prostitute who sits on many waters.” From this we immediately know that it is no mere woman John is describing, for no woman could sit on many waters. Normally, the rule of interpretation is “When the plain sense of Scripture makes good sense, seek no other sense.” But in this case, the plain sense of Scripture does not make good sense, leading us to look for another explanation. When we do, comparing Scripture with Scripture, it is clear that God is using this woman to symbolize false religion. That is not unusual. In the Old Testament, Israel was pictured as the wife of Jehovah. In the New Testament, the Church is called the Bride of Christ. Therefore, it should not surprise us to find a prostitute masquerading as false religion. This is a common metaphor for both idolatry and witchcraft in the Bible. To appreciate her wickedness, notice four facts about her. How powerful is false religion? One thinks of headhunters in the Amazon jungle, animists in Papua New Guinea, and the spiritually naïve in our own country who sell their souls to cult leaders like Jim Jones. But the picture John paints is far more pernicious. He emphasizes that in every age and every place “the great prostitute” has reigned supreme, controlling the worship of everyone who rejects Christ. Three details make this clear. She sits on many waters. What does this mean? John explains in verse 15, “The waters you saw, where the prostitute sits, are peoples, multitudes, nations, and languages.” In other words, whether they realize it or not, everyone has been affected by false religion. Unbelievers often take pride in the fact that they have made it through life without the “crutch of religion.” But they are deceiving themselves. As Freud said, “Man is incurably religious.” We may reject the God of the Bible. But when we do, we invariably open our heart to something else—humanism, materialism, scientism, etc. The hold that false religion has over the unbelieving world is absolute. She “sits” on everyone who rejects Jesus as Savior. She seduces many kings. Verse 2 adds, “With her the kings of the earth committed adultery.” Pharaoh did so. Each time God displayed His glory through miracle after miracle, Pharaoh hardened his heart. Why? Because of the Satanic miracles of Jannes and Jambres, his court magicians. Nebuchadnezzar did the same. He filled his court with astrologers and built a huge idol in his own image. 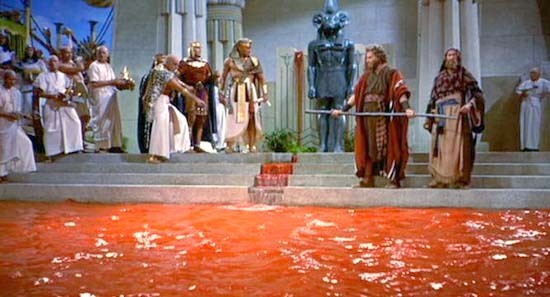 The Caesars took it a step farther, calling themselves gods and forcing everyone to burn incense in their honor. But the most flagrant example will be Antichrist whose very kingdom will be built on false religion. More on that in a moment. She intoxicates the people of the earth. All of us seek comfort for the heartaches of life. But when Jesus, the Wonderful Counselor and Great Physician is rejected, the only thing left to turn top is drugs and false religion. One example is the beautiful actress, Linda Evans. Hurt by two broken marriages and deprived of the child she always wanted, she spent more than 15 years searching for inner peace. She explained in an interview, “I’ve tried a lot of things along the way—psychotherapy, TM, Science of the Mind. I don’t know where the answer is.” So finally, in an attempt to find it, she moved to the Pacific Northwest where she now lives near her dear friend and New Age psychic, J. Z. Knight. How sad! Another graphic example is the false religion of Hinduism. Thousands of children lie starving in the streets of India, while half a billion cows (That’s half the cows on earth!) gobble up and trample their crops. Why not simply butcher them and feed everybody hamburgers? Because that’s against their religion! 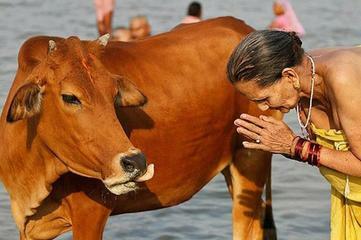 In the Hindu thinking, cows are even more sacred than children! You say, “A person would have to be drunk to think like that!” You are right. But that is what false religion does. It intoxicates the people of the earth. Where does this prostitute come from? Three clues are found in her name. She is a mystery. This doesn’t mean she is mysterious. When you see the word “mystery” in the Bible, it refers to a divine secret which only God can explain. For example, in Ephesians 3, Paul says this about the Church. In the Old Testament, it was a “mystery” in that its future creation hadn’t been revealed. 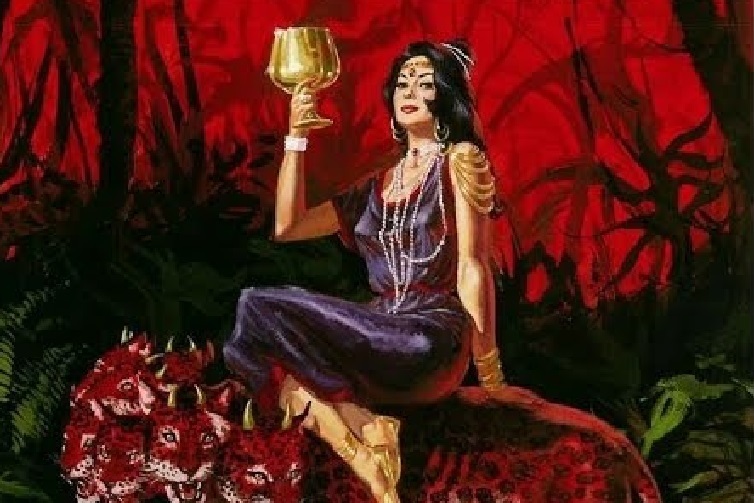 The same is true of “Mystery Babylon.” Until now, the Bible hasn’t said much about her. So, rather than speculating about her, let us pay close attention to John’s explanation. Here he points out two important details about her. First, she is a city. The angel explains in verse 18, “The woman you saw is the great city that rules over the kings of the earth.” To what city is he referring? Two explanations are given. Verse 5 says her forehead reads, “Babylon the Great.” In the early church, that was a code word for Rome. You can see this in 1 Peter 5:14 where speaking of the Church, the apostle says, “She who is Babylon, chosen together with you, sends her greetings.” The literal city of Babylon did not exist in Peter’s day. So, he was likely sending greetings from the Church in Rome, where he served and was eventually martyred. To support this view, many point to the “seven hills” in verse 9, reminding us that Rome was built on seven hills. So, which view is correct? I think it is foolish to be dogmatic about either position. Daniel describes Antichrist as the Roman prince yet to come (Daniel 9:26), which means he may set up his capital in the city of Rome. 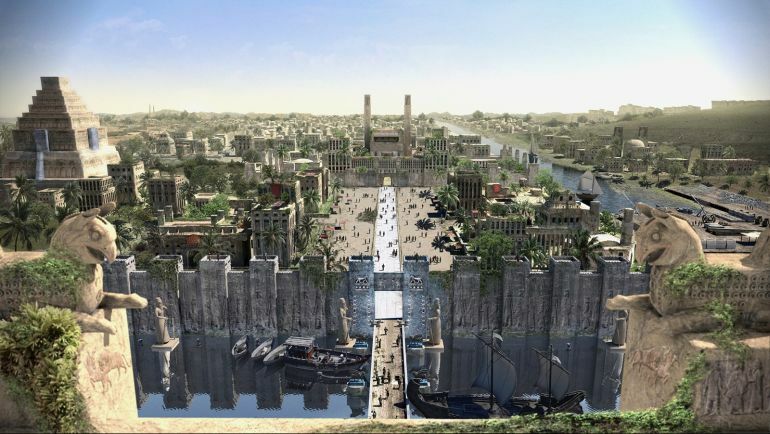 However, Zechariah 5:11 hints that there may be a second Tower of Babel built in the last days in the literal city of Babylon. Consequently, like so many prophecies, we need to take a “wait and see” approach, knowing that wherever the Beast erects his headquarters, God will have the final say and burn this evil city to the ground. She is a mother. Verse 5 adds, “The Mother of Prostitutes and of the Abominations of the Earth.” She is the mother of all that is spiritually depraved. Her history began in Genesis 10 when the world’s first dictator erected the world’s first center of false religion. 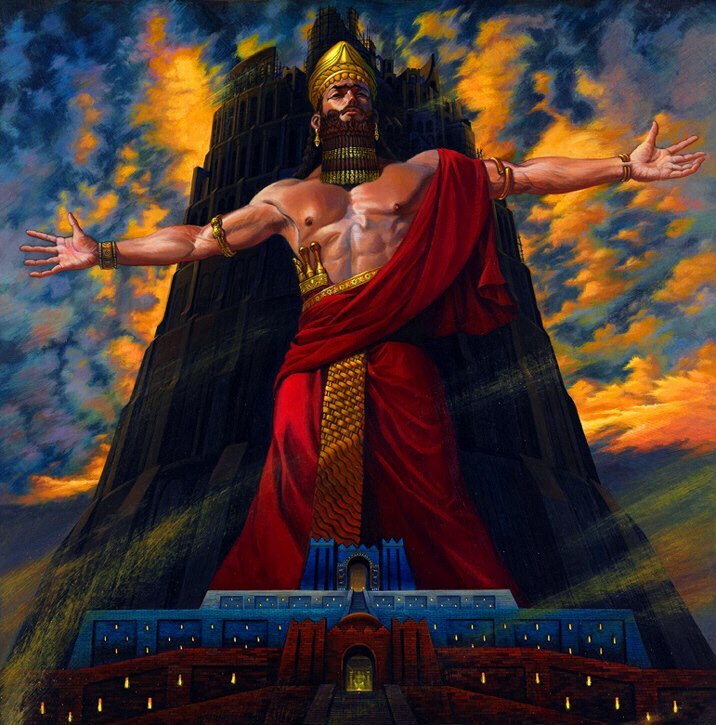 His name was Nimrod (meaning “we will revolt!”) and is described as a “mighty hunter in defiance of the Lord.” Under his leadership in the days following the Flood, mankind rejected God’s command to “multiply and fill the earth.” They gathered instead in the plain of Shinar to build a tower “whose top would reach into the heavens.” These people weren’t so naïve as to think that they could build a stairway to Heaven. This was likely the world’s first astrological observatory, for centuries later, when God condemned Babylon, He said “she had labored with sorceries and astrology from her youth.” (Isaiah 47:12, 13) So, God confused their languages and scattered them across the face of the earth, where they took their false religion with them. Today, we think of radical Islamic terrorism and the hundreds of thousands who have died because of that false religion. But false religion has also been at work within Christianity as well. One example is the Inquisition. Instituted by Pope Innocent III, it was the Papacy’s weapon for fighting the Reformation for almost 500 years. Those suspected of heresy were subject to torture without even being told the names of their accusers. If convicted, they were turned over to civil authorities for imprisonment or burning. Imagine! Priests and monks directing with heartless cruelty the torture of innocent men and women, all by order of the “Vicar of Christ!” In France, between 1540 and 1570, 900 thousand Protestants were killed. Things were worse in Bohemia. In 1600, the population was 4 million (80% Protestant). But by the time the Jesuits and Hapsburgs were finished, only 800 thousand were left—all Roman Catholics. But her bloodthirstiness isn’t confined to history. 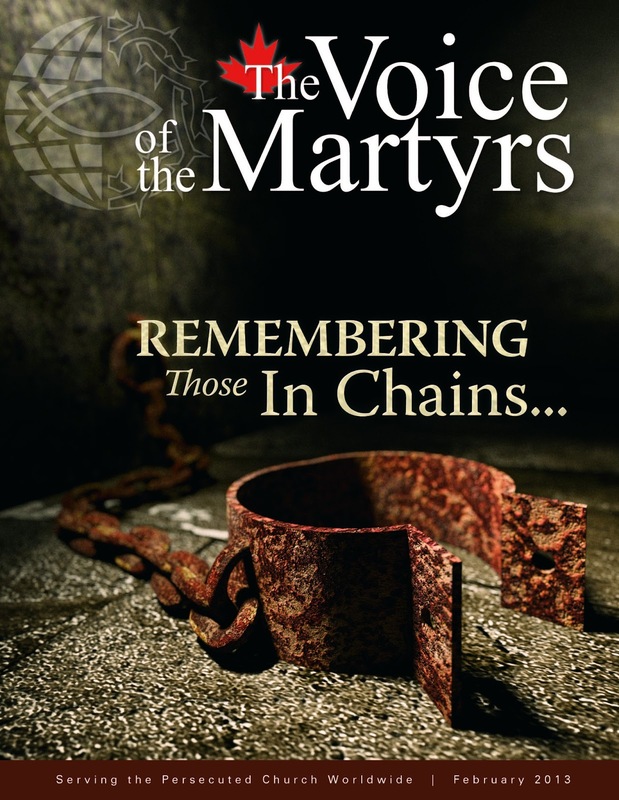 If statistics are correct, more believers are being martyred today than in all previous centuries combined—by communists, Islamists, Hindus, animists, and every other false religion. But then, what has happened in the past and is happening today will seem mild once the Tribulation begins. For at that time, the Prostitute will inspire a bloodbath extending to believers from every tribe, tongue, and people. No wonder God will burn her with fire! What she has done to others will finally be done to her. In our next lesson, we will finish this study of Revelation 17 and Babylon the Great by investigating the details surrounding her murder. This entry was posted in Uncategorized and tagged Babylon the Great, Bible, Daniel, Jesus, martyrs, murder mystery, Prophecy, Revelation. Bookmark the permalink.